"Hui Mālama O Ke Kai is an after-school program, but it's also a place where self-efficacy is strengthened by celebrating traditional values, where children and families learn and create together...Hui Mālama O Ke Kai is a model for culture-based, after-school learning & we hope to be a model for the world." Hui Mālama O Ke Kai Is Looking For New Team Members! Responsible for overseeing the overall operations of the Hui Mālama O Ke Kai Foundation Programs, managing direct personnel, and providing the necessary support for staff and curriculum training and development. This position also provides high-level program related administrative support to the Executive Director. Responsible for serving as a teacher's assistant and program support for the Hui Mālama O Ke Kai (HMK) Keiki Program serving the 5th and 6th grade participants in our program. Responsible for serving as an on-call lifeguard for the Hui Mālama O Ke Kai (HMK) Keiki and ʻŌpio Programs during the after-school time hours. ​Hui Mālama O Ke Kai? ​Click on the button below for more information! Mission: Cultivating pride and leadership by living Hawaiian values. The Hui Mālama O Ke Kai Foundation will be hosting a kuʻi kalo booth at this year's Gabby Pahinui Waimānalo Kanikapila! Mākaukau (Ready) For HMKF's Hōʻike? During Pō Pāheona, ʻohana will create mosaic pots and ipu ʻumeke for our Hōʻike decorations. Plants that your keiki/ʻōpio (children/youth) - our haumāna (students) - have been growing at program will fill these pots and be showcased at Hōʻike. We encourage you to come with some design ideas since what you craft will represent your ʻohana & you will be able to keep these pots & ʻumeke once Hōʻike is pau (finished)! In support of practicing ways to reduce our waste, we want our guests to B.Y.O.M.K. "Bring Your Own Mess Kit" to this event! Yes, you will want to bring your own dishes, eating utensils and cups! As a mahalo, you will earn volunteer time for each family member who brings their mess kit to Pō Pāheona. Please RSVP by Monday, April 15th! Simply fill out an online form to let us know you're coming. To get you started, click on the button below! Dinner for this ʻOhana Activity will be provided by HMKF. It's Going to Be Some Night! If you love Spaghetti, BINGO and a whole lot of fun, then you need to be at Hui Mālama O Ke Kai's Fundraiser this Saturday! Purchase a $10.00 ticket to get a Spaghetti dinner and "starter pack" - (1) BINGO Card for the 1st game of the night and (1) free raffle ticket! Additional BINGO Cards & raffle tickets will be available for purchase at the event to increase your chances of winning an amazing prize! All funds generated from this event will go toward our Youth Enrichment Programs' incentive trip to Moloka'i - less than 2 months away! Interested in purchasing tickets for our BINGO Night Fundraiser? 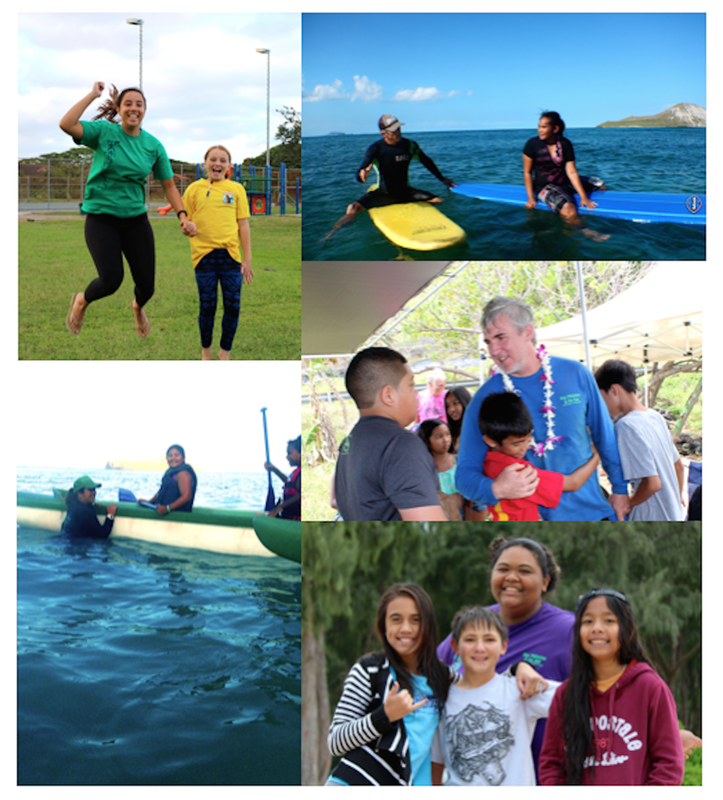 Want to know how you can kākoʻo (support) our Youth Programs' trip to Molokaʻi? Call our office at (808) 259-2030 or email HMKF Staff for more information! Board & Stone Hōʻike Is Here! Let's Celebrate! E Hoʻomaikaʻi Iā ʻOukou! Congratulations to all of you! Mahalo nui to all of the ʻohana, alakaʻi and kumu who participated in Hui Mālama O Ke Kai's Fall 2018 Board & Stone Workshop! In celebration of the connections, creations and journeys that have taken place over the past couple of months, we are excited to announce that a Board & Stone Hōʻike will be taking place this weekend! Preparations for this Hōʻike will be taking place this Friday, December 14th, here at our HMKF Site! There are still some items on our list that we need in preparation for our Hōʻike! If you are interested in helping us fill in these "puka", please contact Tina Young, ʻOhana Program Manager. Mahalo nui! Both audio tracks were composed and performed by staff & students of Hui Mālama O Ke Kai. Click on image for interactive calendar!